Did you know that 1 in 4 kids in the U.S. have their first cavity by the age of four? Believe it or not, the sooner you can get your child acquainted with their dentist, the better. It’s best to take your child to the dentist by his or her first birthday‒ if not before. These guidelines are recommended by the American Dental Association for several reasons. First, it gives the dentist a good look to see if your child’s new teeth are forming correctly. Second, this is a great way to build a lifetime of good habits for the child as it helps them to identify the dentist as a friend and not someone to fear. Third, going to the dentist regularly is the best way to prevent tooth decay. How do I clean my child’s teeth? Any soft-bristled toothbrush with a smaller head will work perfectly for small children. Helping your child getting into the habit of brushing their teeth at least twice a day for 1-2 minutes is preferred. 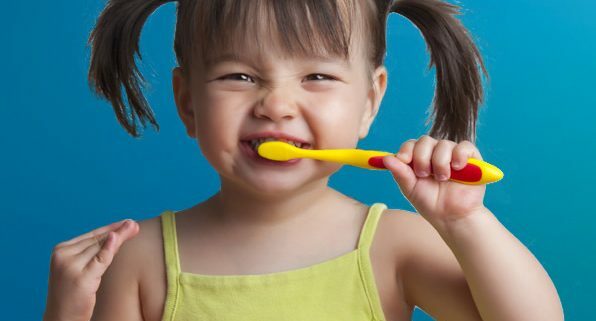 Supervise your child for the first few weeks, and then let them experiment with the toothbrush for themselves. This will make it fun and allows the child a feeling of responsibility. Any type of fluoride toothpaste is recommended. Try out several different brands until your child picks out the one he likes the best. Children only need a small amount of toothpaste to start out with, and then begin increasing the amount to the size of a pea as they progress in age and get used to routinely brushing their teeth. As a parent, how can we help prevent tooth decay? By getting your child regular dental check-ups, brushing, flossing, and having a balanced diet for them will be the perfect start to having good oral health for your child. What if my child is too scared to visit the dentist? As a general rule, parents who talk openly with their children about visiting their dentist find that they feel more relaxed when it is time for their first appointment. By bringing your child to the dentist as soon as their first teeth erupt, they will become familiar with the dentist, the dentist office, and all of the things that take place during a regular check-up. There are all kinds of resources available like storybooks and online games that are geared towards teaching small children about going to the dentist’s office. These will help your child to get acquainted about their visit to the dentist and make it a lot more fun. What should I expect from my dentist? As soon as your child’s baby teeth erupt, your dentist will do a quick check in your child’s mouth to see if everything looks alright. And then, by the age of two, it is time to start the standard six-month dental visits. When your child reaches age 4 to 5, you can expect your child to get his first x-rays. Children should also get sealants on their permanent molars as soon as the teeth come in to prevent decay, usually around the age of 5 to 7. Permanent teeth will slowly begin to emerge. And by the age of 13, most children will have 28 teeth‒ with a mixture of primary and permanent teeth inside their mouth. 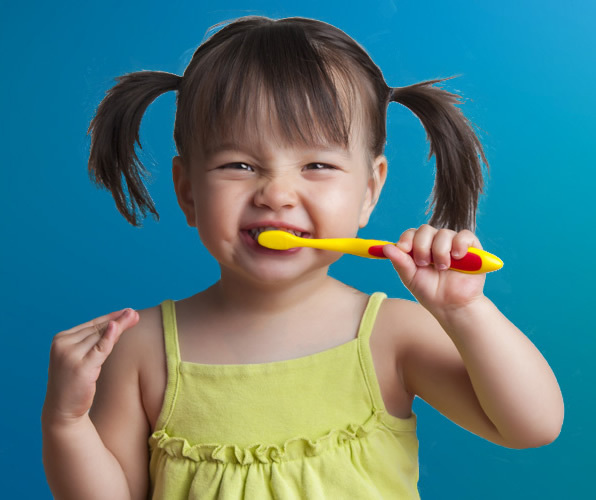 https://www.canyondentalcare.com/wp-content/uploads/2015/06/little-girl-with-toothbrush.jpg 500 596 Staff Canyon Dental https://www.canyondentalcare.com/wp-content/uploads/2018/05/Canyon-Dental-New-Logo-trans-3-e1526588705132.png Staff Canyon Dental2015-09-01 14:55:242015-09-01 14:55:24At What Age Should My Child See a Dentist?